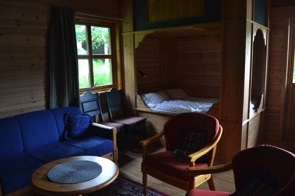 Traditional Norwegian mountain lodge, 30 minutes south of Alta city centre. Offers rooms or spacious apartments, as well as a licensed bar, communal lounge, and outdoor hot tub and sauna. This is a good base for walking the Alta Canyon as it's just a short drive away from the hike's starting point. Modern, self-catering apartments that are spacious, clean and pleasantly furnished. Located right in the centre of the village, with the chairlifts directly opposite for access to skiing and hiking trails. Beitostølen is a small, family-friendly ski resort that's also a good base for summer activities, such as canoeing, hiking and husky carting. Staff have excellent knowledge of the surrounding area and available activities. 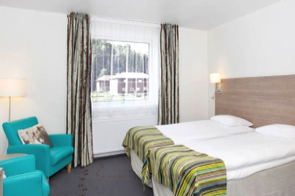 Welcoming and friendly hotel within easy walking distance of the train station and central Bergen. Rooms are bright and modern with spacious, spotless bathrooms. The hotel has been awarded the Nordic Ecolabel – meeting strict criteria for use of fossil fuels and energy consumption – and electricity is powered by wind and water. Amazing breakfast buffet, with a huge range of food. 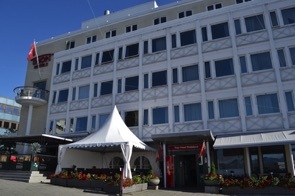 Modern hotel, a short walk from the Bjørneparken bear sanctuary. Rooms are pleasantly decorated in natural colours with wildlife themed accessories. Family rooms are spacious, with pull down bunk beds. Service is excellent, and there's a great value dinner buffet – ideal for families on a budget. Thon Hotel Bjornparken is Eco-Lighthouse certified, focusing on energy efficiency, renewable energy, waste reduction and use of organic food. 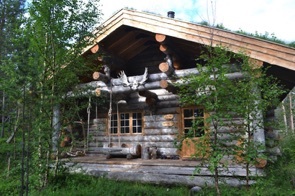 Stunning collection of log cabins, on a husky farm in the far north of Norway. Lodge interiors are full of character with handcrafted furniture made from natural, reclaimed and sustainable materials. The cabins are luxurious, rather than basic – mod cons include hot shower, cooking facilities, fridge and air-conditioning. Husky-related activities are available in both summer and winter. A unique and unforgettable experience. Housed in a converted warehouse on the historic island of Innlandet in western Norway. The beautiful rooms full of character, with stylish furnishings modern, tasteful décor. Many of the rooms have a sea view. Communal areas include a lovely wooden decked terrace right alongside the water, where you can enjoy the complimentary coffee and a selection of teas available from reception. 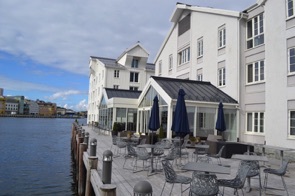 Thon Hotel Kristiansund is part of the Eco-Lighthouse scheme. Extremely welcoming and friendly hotel in the centre of town. 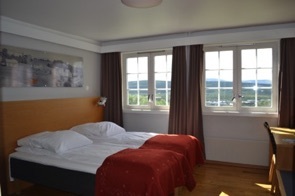 Attractive, comfortable rooms with excellent facilities – some with fabulous mountain and fjord views. There are tea and coffee making facilities and free, fast wifi in the rooms. You can walk to the wilderness area of Moldemarka directly from the hotel, where you'll find nature trails and outdoor gym in the woodland. Eco-Lighthouse certified. A large Victorian house with 10 double en-suite rooms and five spacious annex apartments. The apartments sleep four and are ideal for families, with a kitchenette, riverside balcony, separate double bedroom and living room with comfortable sofa bed. Petrines has been awarded Eco-Lighthouse certification, and respect for the environment is a key feature of its ethos. The hotel is also managed in a way that actively involves the local community. 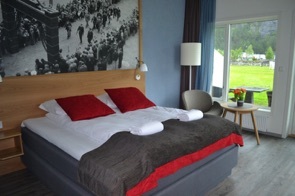 A modern hotel in the small, charming village of Valldal, located right on the shore of Norddalsfjord. Staff are friendly and welcoming. 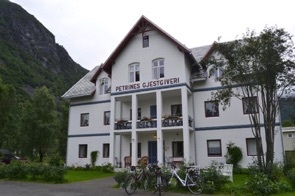 A short drive away from the dramatic Trollstigen road, and about 45 minutes drive to beautiful Geirangerfjord. 40 stylish but cosy rooms with sleek bathrooms, and superb fjord and mountain views. The buffet breakfast makes use of local and seasonal produce. A large, modern hotel in the centre of town, featuring natural materials throughout the hotel, with stone, wood and wool combining to create a warm and welcoming ambience. There's a cosy lounge area with dark wood, snug seating areas, and candles. Rooms are equally comfortable, and many have great mountain views. 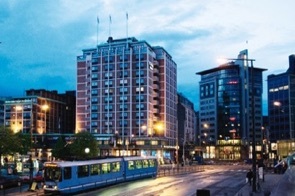 The hotel is part of the Nordic Choice chain, which has an impressive raft of environmental and sustainable policies. In a great location, just a just a minute's walk from Central Station and within walking distance to many of the city's sights. Friendly, helpful staff and extremely comfortable beds. The breakfast buffet is excellent, offering masses of choice. 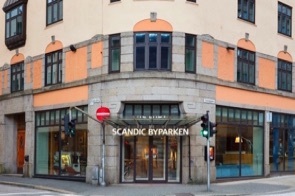 Part of the Nordic Choice chain, with environmental and sustainable policies including use of renewable energy, reduction of waste and use of organic and locally produced food. Reopening as The Hub in March 2019. 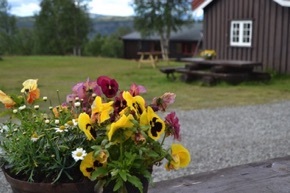 An ideal location for hiking, within the beautiful Rondane National Park. Numerous hiking trails, through stunning scenery, lead straight from the door. Self-catering cabins are clean, comfortable and good-value. There's also hostel accommodation for those on a budget. A mountain café on site serves hot drinks and freshly baked waffles. 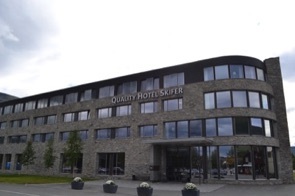 Great family-friendly hotel situated within easy walking distance of Røros. The town is a UNESCO World Heritage site, and one of the most sustainable destinations in Norway, thanks to initiative such as use of sustainable energy and promoting local food. Rooms are spotless, spacious and comfortable, and have mountain views. There's a superb leisure complex onsite with hot tubs, sauna and two lovely swimming pools. Eco-Lighthouse certified.